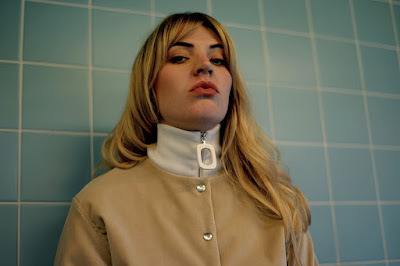 Slow Club's Rebecca Taylor is embarking in a new project called Self-Esteem and has unveiled its debut single Your Wife. I am in love with those drums and her warm and intense vocals! Impeccably produced by Django Django’s Dave Maclean, Your Wife is the questioning of everything Rebecca’s surrounded by – the increasingly male dominated world she finds herself in, the boundaries and freedoms that that world provides and her own sexual limits within those boundaries. It’s a track that manages to perfectly measure one’s own vulnerability against strength – a fascinating contradiction that defines Self Esteem. Stream it below! 10 wonderful years in a successful indie band, and Rebecca finds herself musically re-incarnated. Self Esteem is the next chapter of her enthralling story. Drawing influence from everything and anything – pop culture, the dark and light within her own life, her experience’s on the road in a band that she loved but was no longer the place for her creatively, and the freedom that came from stepping away, her new sound is dramatic, direct and deafeningly exciting.